Gearing up for the weekend? There are tons of happening around town this weekend, including jazz performances, drama productions and local festivals! Hope you find something fun to do. 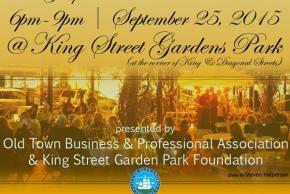 Enjoy listening to Jazz outside at King Street Gardens Park in Old Town Alexandria. Players include Mike Gillespie on flute, Thomas View on bass and Dan Leonard on guitar. Dinner from Hard Times Cafe, dessert by Alexandria Cupcakes and more. More than 40 artists perform on two stages for two days at West Potomac Park in DC. 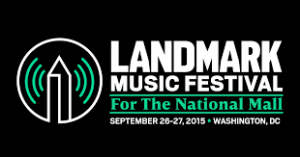 Festival benefits The Trust for the National Mall. Written by playwright Jessica Dickey, this world premiere production of The Guard tells the story of what happens when an art museum guard touches a Rembrandt and a journey through the ages begins. Bring the whole family out to celebrate Latin American culture at this festival featuring dancers and musicians from several countries. There will be foods, games, community vendors and more available. Movies opening include The Intern, Hotel Transylvania 2 and 99 Homes. See our event calendar here for even more fun activities! There will be live music, a wooden boat show, races, boat-building, and a chowder cook-off, but the key attraction of Seaport Day is the Anything That Floats Race. The premise of the race is pretty simple: if it floats, you can race it. Materials like cardboard, milk jugs, and old bicycles are used to construct these incredible vessels, all it takes to enter is a $100 registration fee and a little bit of imagination and creativity. While you’re waiting for the races, wander through the rest of the festivities at Waterfront Park. Along with all the displays, exhibits, and competitions, there will be beer, wine, and amazing food to enjoy. Alexandria Seaport Foundation’s Seaport Day will take place Saturday, September 26th from noon to 6pm and is an invitation to all in the community to discover the incredible opportunities presented by Alexandria’s waterfront. 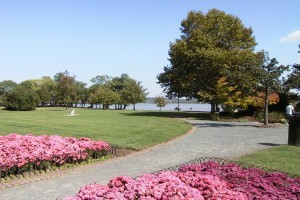 Waterfront Park is located at the foot of Prince Street in Old Town Alexandria. For more information, go to www.alexandriaseaport.org or the Alexandria Seaport Foundation Facebook page. You know what is better than one yard sale? A couple dozen all at the same time in the same place! 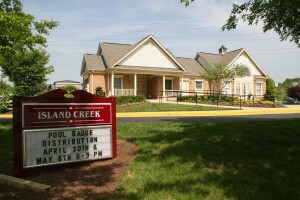 Island Creek’s Fall Community Yard Sale will bring all the neighborhood’s unwanted or unused wares to the Island Creek clubhouse’s parking lot on Saturday, September 27th from 8am to noon. Stop by to find a piece of treasure in what is sure to be a mountain of goods. If there is anything left behind, a donation truck will be coming at the end of the event to pick up unsold items. If you are a resident of Island Creek, check out the Island Creek Informer for more information on who to contact to reserve your space. Don’t miss out on your chance to get in on the action! Island Creek Informer’s July/August 2015 Issue can be found at http://www.islandcreek.org/cgi-bin/documents.pl?action=view&docid=1436402156&dir=documents. In case of bad weather, the rain date for this event is Sunday, September 27 from 9am to 1pm. All along Route 1, parking lots are full of eager consumers on the hunt in big box stores like Target and Lowe’s Home Improvement. 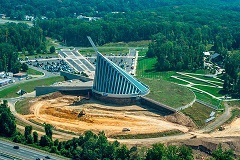 The center formerly known as the Penn Daw Plaza is set to become the newest attraction on the highway. The mixed-use development will be anchored by a 25,000 SF national specialty grocer and will include 400 Class-A apartments, 41 townhouses, and 44,000 SF of retail space. Construction for this project is expected to begin late this year. Rumors are swirling about the potential grocery chain that will occupy this space with the Washington Business Journal reporting that Supervisor Jeff McKay had indicated that The Fresh Market will be in the center. Also part of the project plans are a public plaza, a dog park, a tot lot, two courtyards, and a parking structure. This 10-acre property at the intersection of Route 1 and Kings Highway is one of many new developments popping up along this busy corridor. For more information on the plans, go to www.combined.biz. Start this weekend off by giving back to the community. Washington, DC is a hotbed for charities and organizations and every day activities and events take place to help generate donations or create much needed supplies. Help pack over 1 million meals for food-insecure older adults at this incredible service events. Volunteer for an hour long shift or for multiple. Locally grown dining experiences are popular these days. 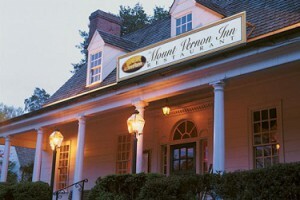 Delight in Mount Vernon’s fresh food during a four-course dinner and imagine what it might have been like to share the meal with the properties most famous owners, the Washingtons. Along with dinner, enjoy the gardens, a private tour, and specialty cocktails. Robotics play a role in military, education, and practical applications. Take the whole family to discover the robots that help the Marine Corps carry out everyday duties and responsibilities. In Virginia, it’s not unusual for Civil War reenactments to be taking place. This weekend, jump forward 80 years to World War II and watch re-enactors portray Axis and Allied soldiers in both the European and Pacific theaters and at home. Movies opening include The Perfect Guy, The Visit, and Time Out of Mind. When you live close to a city, there are a few variables that are constant. There will be a lot of people on the road, you will find more diversity than suburban or country counterparts, and there will always be new, major developments popping up. Over the last few months, posts about projects in Springfield, Lorton, and the Kingstowne areas have been included on this blog. Now, here are a couple of other new developments to be on the lookout for. 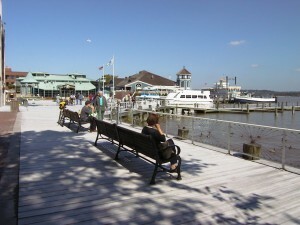 Despite a battle over the particulars, the waterfront of Old Town Alexandria will have new hotels as well as an uninterrupted path along the water. Across town, the TSA will be moving into a West End office building that has long been vacant. The area is hoping that the TSA’s move along with the renovation of the Landmark Mall will bring more business to this up-and-coming neighborhood. Traveling down Route 1, old shopping centers are being transformed and under-utilized land is being given new life. The former Penn Daw Plaza will become a mixed-use development with apartments, townhomes, and retail space. Still ongoing and set to be completed in 2016, the highway is being widened from four to six lanes between Mount Vernon Memorial Highway and Telegraph Road. Two new residential buildings are going in by the Huntington Metro station. The Parker at Huntington Station will house 390-units in four to six stories and there will also be a 15-story office and retail building. Lennar has applied for rezoning for over 6 acres by the station and the water to be used for a five story, 360 unit building. Another area that has been seeing a transformation is Crystal City in Arlington that has been converting old commercial space to residential units to accommodate the growing interest in the area, particularly from young people. 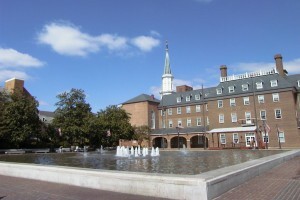 For more information on the City of Alexandria’s development plans go to www.alexandriagazette.com/news/2015/aug/27/alexandria-neighborhood-outlook/. For more information on the Mount Vernon area development plans go to www.mountvernongazette.com/news/2015/aug/28/mount-vernon-neighborhood-outlook-commercial-resid/]. 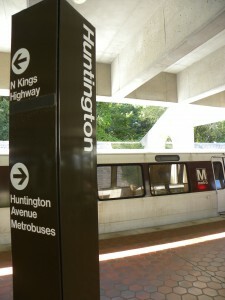 For more information on Arlington development plans go to www.arlingtonconnection.com/news/2015/aug/28/arlington-neighborhood-outlook-areas-undergoing-re/. A classic Christmas movie reminisces about military life as Bing Crosby, Danny Kaye, Vera Ellen, and Rosemary Clooney wish they were back in the army. But, White Christmas also poses the question: what do you do with a general when he stops being a general? The answer in this story was, of course, buy an inn in Vermont, but Military Times came up with 75 alternatives for places to live after leaving the military. They divided their rankings into three categories: large, middle, and small cities. Factoring in veteran and military culture and services, economic indicators, and livability factors like crime, traffic, and school ratings, Military Times compared 577 places to come up with their Best for Vets list. Coming out on top of the middle cities list was Alexandria, followed directly by Arlington. A medium city was classified as having populations between 75,000 and 250,000. Thanks to many bases, federal employment, government contractors, and a booming private industry veteran unemployment in Alexandria is at an incredibly low 0.4%. For more information and the complete lists, click here. Savor the end of summer this long Labor Day weekend! With most schools starting early next week and the seasons getting ready to change, take advantage of the gorgeous, warm weather to catch a concert, a show, an exhibit, and a festival. 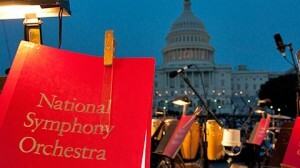 In the shadow of the dome of the Capitol, relax and take in a patriotic performance by the National Symphony Orchestra with featured artists like vocalist Kate Davis and the Soldiers’ Chorus of The United States Army Field Band. As part of the celebration of the Nationals’ tenth year, the Newseum has put together a Hall of Fame-worthy collection of baseball memorabilia. This exhibit will be on display until November 29th. 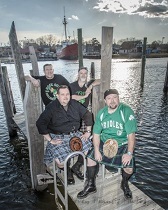 In an area known for its celebration of Scottish heritage, this two-day festival features piping and drumming, highland dancing, fiddling competitions, a highland athletic competition, vendors and crafters, food and drink, and live music. This hilarious show reveals the behind-the-scenes antic of a company attempting to perform Hamlet, Charley’s Aunt, and Dracula. This must-see production is on now through September 26th. Movies opening include The Transporter Refueled, Dragon Blade, Break Point, and Before We Go. Out of 405 cities in the United States, Alexandria has been ranked 13th on a list of the best cities for women entrepreneurs to launch a business. GoodCall, a data-science group, based their rankings on core economic strength, business climate for women, professional networking potential, and female educational values. The high number of women business owners in Alexandria strongly impacted the place the city earned on the list. Alexandria was the highest ranked Virginia city on the list, with Charlottesville being the closet ranked at 32nd. For more information, as well as advice for women entrepreneurs, go to www.goodcall.com/data-center/2015s-best-cities-for-women-entrepreneurs/.